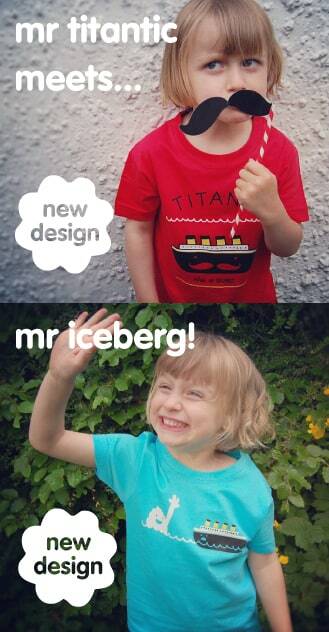 Very cute Titanic tees from Belfast’s own Tee and Toast (in case you are unaware, the Titanic was built in Belfast). Available in child sizes for £14, or £20 for adults. Side note, I’m pretty sure that the mustache the little girl is holding up in top picture came from the Renegade Craft Fair in London last October, you’ve done well to hold onto it for this long Claire!